Rosie Red Every Day corset in RED! Excitingly I can now say that my new corset promotion is LIVE! 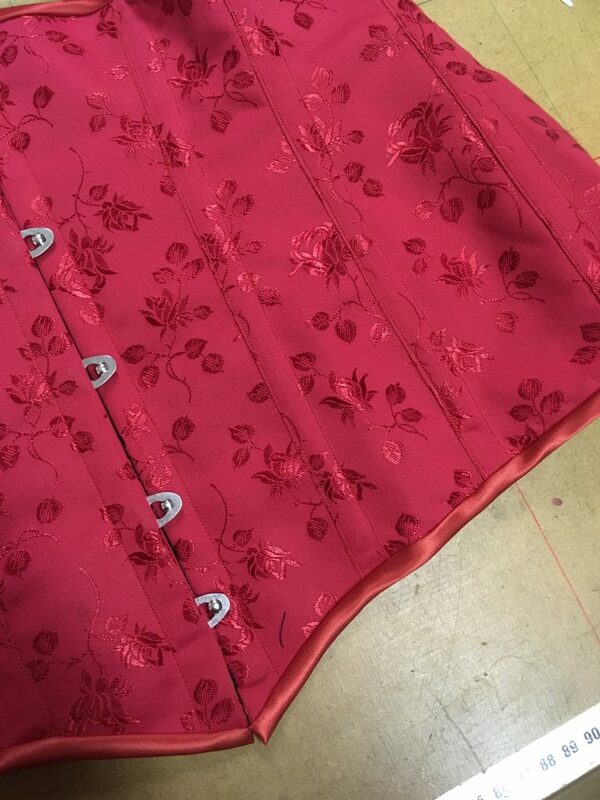 My very same curvy everday corset but in a gorgeous red rose fabric. Dramatic curves to enhance your silhouette. All you need to do is send me an email either through the website here, or to info@rosieredcorsetry.com with the subject header ‘I want the Valentine’s corset deal please!’ along with your measurements (find out how to measure and other FAQs here.). When you have emailed me you will get a reply (as soon as I get the chance!) letting you know how to pay the £50 deposit, and asking if you would like to pay off your corset balance in instalments. 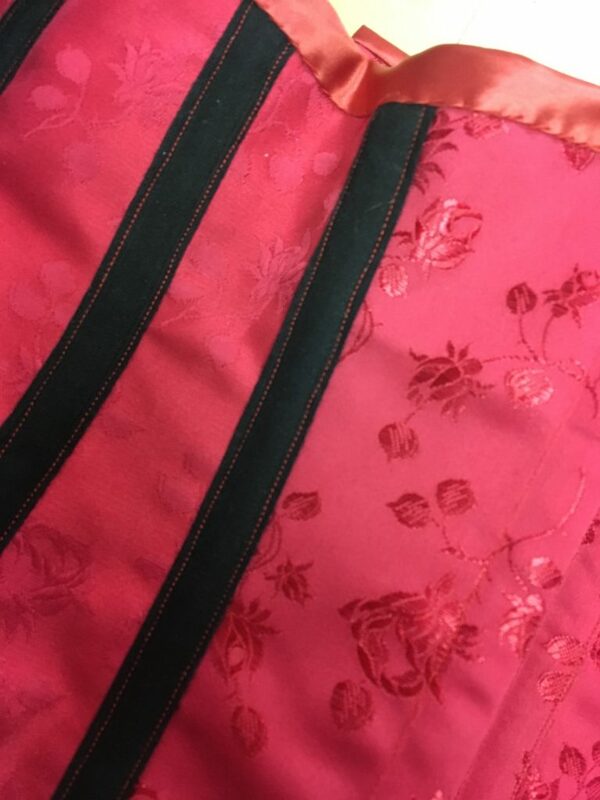 Your corset will take 2-6 weeks to complete, so let me know when you need it by and I will see what I can do! Stay posted for more images later this week! 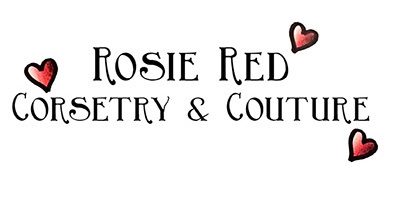 I am thrilled to have had a brilliant (nearly) 3 years in business as Rosie Red, and am so grateful for all of the support I have received.